Cloudfone has just announced the all-new GEO 420q, a 4-inch quadcore android smartphone with Corning’s Gorilla Glass 3. The new CloudFone GEO 402q features a 4-inch display with OGS technology and protected by Corning Gorilla Glass 3 as scratch resistant. Powered by Mediatek Quad-core chip which clocked at 1.3GHz, paired with 1GB of RAM and 4GB onboard storage. 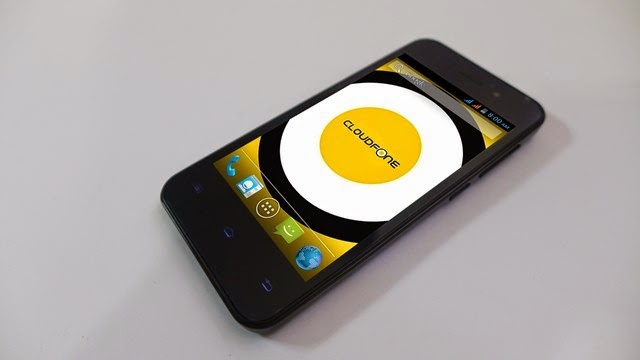 CloudFone equipped the GEO 402q with an 8 megapixel rear camera with flash and a 2 megapixel on front for taking selfies. This dual sim, dual standby smartphone is carrying 1600mAh battery in an Android 4.4 Kitkat operating system. CloudFone GEO 402q comes with a FREE candy-colored back cover which exclusively available at Globe Plan 299.